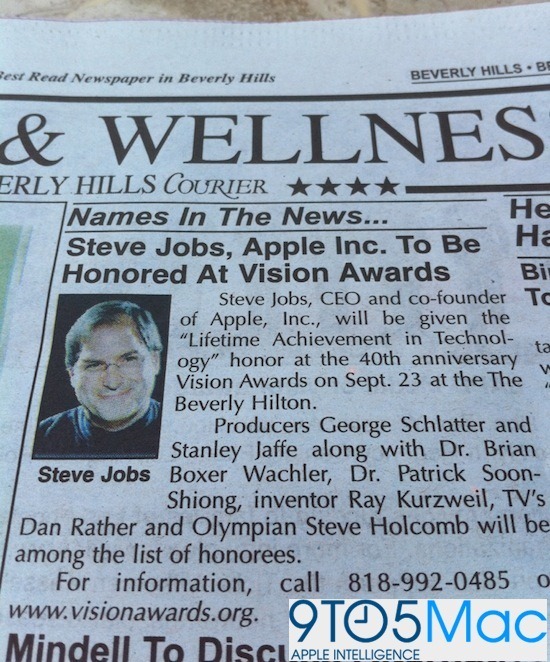 ) will be honored with the title of "Lifetime Achievement in Technology" in the Vision Awards at Beverly Hilton on 23rd of this month. This will be the 40th anniversary of this awards ceremony. In the same month, "The Fortune Survey report" was released that declared Apple’s CEO as the “Smartest CEO”, and their Senior Vice President, Jonathan Ive as the "Smartest Designer" in tech. industry. Apple as company was declared as the “World’s Most Admired Company for 2010”, and that too consecutively for the third year in a row. The report also showed that in the 2010 edition of their annual ranking of "World’s Most Admired Companies", Apple Inc. was at the top of the list for the third year in a row, and by the highest margin ever in the ten-year history, beating other internet Giants like Google and Microsoft.